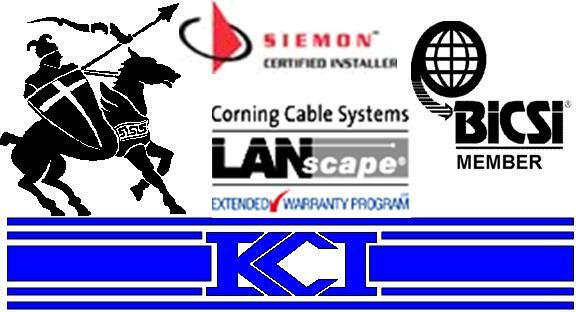 Knight Communications is able to offer Siemon Certified Installer warranties and Corning Extended Warranty Provider (EWP) warranties on cabling jobs. What this means to our customers is that KCI can offer multi year warranties on the cable links that we install using Seimon or Corning approved components. 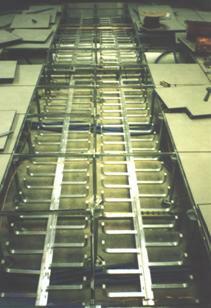 KCI has experience in building cross connect fields on backboards using 66, 110, Krone, and Bics blocks. 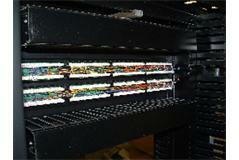 We have installed equipment and relay racks in WAN rooms, Data Centers, MPOP, MDF, IDF, Co-Location Rooms, and Verizon Central Office environments. 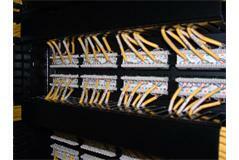 We have the equipment needed to install very large sized OSP cables into a building MPOP. We prefer to splice OSP cables to lightning protection with 26awg cable stubs so as to limit the exposure of water inhibiting compound to the end user. We have the equipment necessary to verify and document fiber and copper cable links into any of the above mentioned environments. 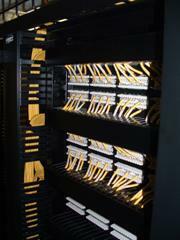 We can tip or fusion splice fiber or splice copper cable to transition from OSP to cable rated for use inside buildings (plenum, pvc, etc). There is very little we cannot do in these areas.